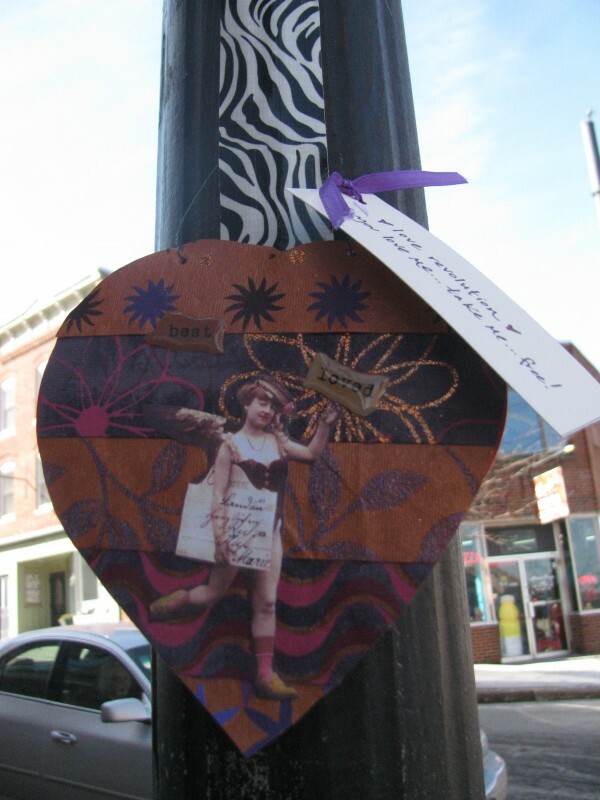 Belfast residents woke up Tuesday, Feb. 14 to find the city decorated for Valentine's Day, with intricate and colorful Valentine’s Day cards posted around the center of the city. 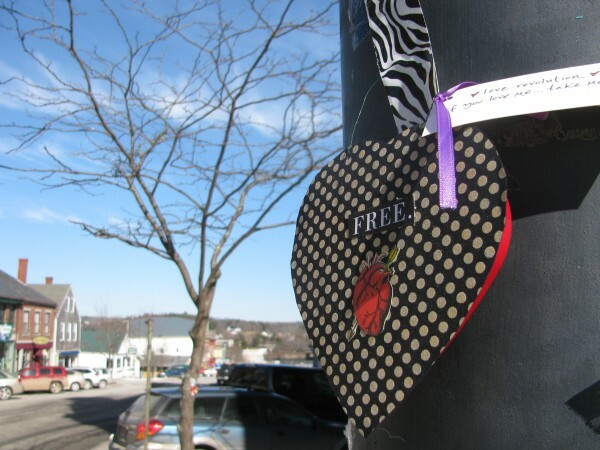 BELFAST, Maine — Love was in the air, or at least taped to the signposts. 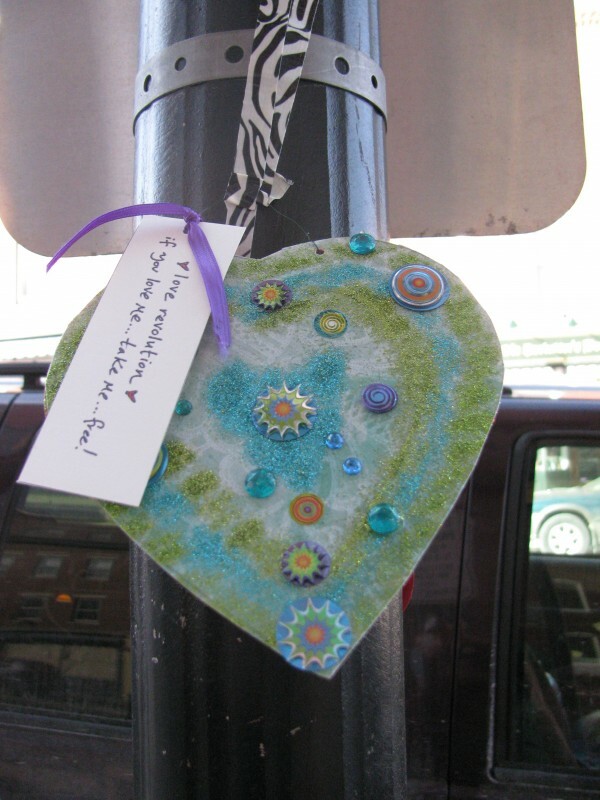 On Tuesday morning, Belfast residents woke up to find the city decorated for the heart-felt holiday, with intricate and colorful Valentine’s Day cards posted around the center of the city. 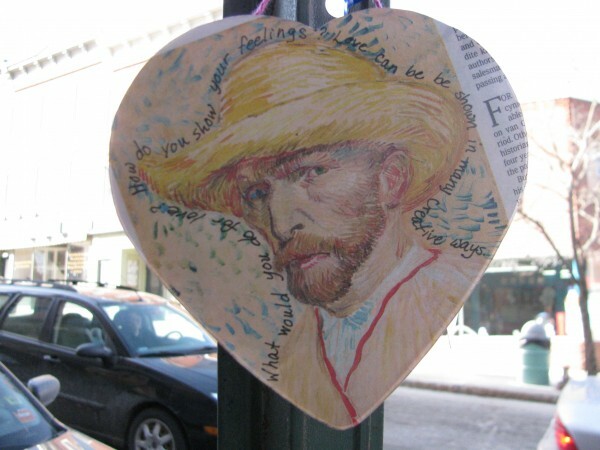 No one seemed to know which area artist — or artists — were responsible for the displays, which featured collages of pretty paper, vintage images, flowers and even a self-portrait by Vincent Van Gogh. But the people who stopped to take photos and smile at strangers who were also admiring the Valentine’s artwork didn’t seem to mind the mystery. But many people seemed happy to just stop and enjoy. Vicki McDaniel, owner of the Belfast Framer, said she was happily surprised when she came to work Tuesday morning. “I just thought that they were incredibly creative and fun,” she said.